This week’s term: Post-Tribulationsim – That form of eschatological doctrine which teaches that Christ will resurrect and catch up HIs saints as He returns at the end of the tribulation period to set up His millennial Kingdom. 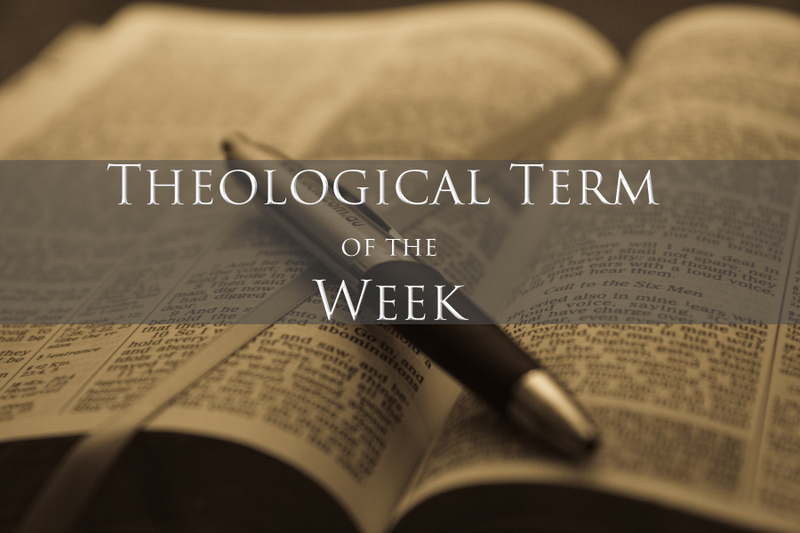 Last week’s term: Mid-Trublationism – that form of eschatological doctrine which teaches that the coming of Christ for His saints will be after the first three and one-half years of the tribulation period has passed. See, alot of these terms I don’t necessarily find accurate. We are post-trib, pre-wrath. We don’t feel as if the first 3 and 1/2 years are the wrath, they are only the tribulation period. The 2nd three and 1/2 years is the wrath of God poured out on unbelievers, which we won’t be here for. When we tell people we are post-trib, they incorrectly assume we think we are here for all 7 years, which we don’t believe. Nowhere in the Bible is the wrath of God mentioned before the sixth seal. It’s not until after the 6th seal, and when we see the rapture take place in Matt 24, among other books of the Bible, that his wrath is poured out. So… the first 3 1/2 years= tribulation, then midpoint, the gathering, then second 3 1/2 years, God’s wrath, then armegeddon, and all that. It’s hard to explain our position to pre-tribbers cause first we have to explain all that, haha! Oh, and I love the look of your blog! These are general definitions; they are not meant to be that specific. The Calvinism definition is a good example. It barely scratches the surface of that topic. It’s interesting that I’ve had two comments on the eschatology definitions, and maybe one on all the other topics combined. I find eschatology to be the least important of all the theological topics. (I don’t even know what I believe about it to be honest.) Thanks for sharing your views with me. Hope you have a great day!